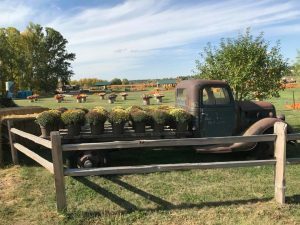 5 Things to do in Minot in the Fall - Word on the street with Visit Minot!Word on the street with Visit Minot! The air is getting colder and the leaves are changing color, but that doesn’t mean you have to stay inside all day. Here’s a list of 5 things to do in Minot, North Dakota in the Fall! 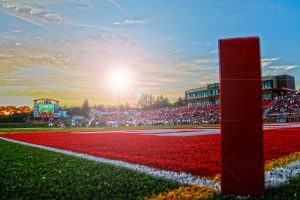 Minot State University football games at Herb Parker Stadium are the perfect way to spend a Saturday with friends or family. You can grab a drink and a hot dog and watch the Beavers Build The Dam! The pumpkin patch, open until October 28th, is filled with fun fall activities for all ages. A corn maze, a fishing pond, hay rides, mini golf, and a petting zoo. Holiday shopping season is rapidly approaching. You can get ahead of the game at the local craft shows. The Big One Christmas Show is November 2nd & 3rd and the Minot Pride of Dakota Holiday Showcase is November 10th & 11th. Both of these events are at the North Dakota State Fair Center. 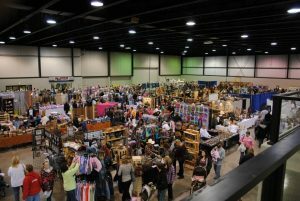 You’ll find great unique products including gourmet food, wine, art, books, jewelry, apparel, children and pet items, and more! 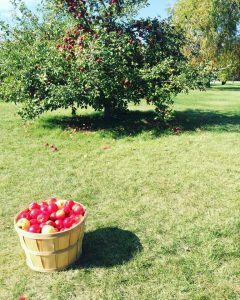 They have pumpkins, gourds, apple picking, local food for sale, family games and activities, fall craft items and fall candles, and fun photo opportunities. A great place for a fall day! Open until October 15th. Take a walk around the beautiful parks in Minot. Oak Park, Roosevelt Park, or the Scandinavian Heritage Park. 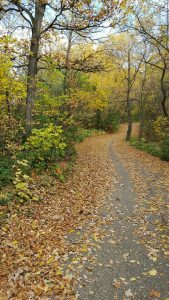 The walking paths are a great way to really take in the colors of fall.